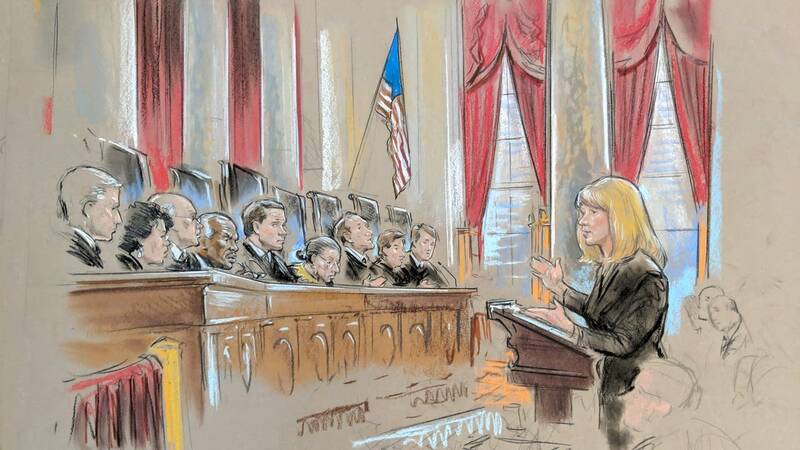 At top: A rendering of Curtis Flowers' lawyer, Sheri Johnson, arguing before the U.S. Supreme Court on Wednesday, March 20. Sketch by Wm J. Hennessy Jr. The newest and perhaps most controversial member of the U.S. Supreme Court, Brett Kavanaugh, appeared to side heavily with lawyers for Curtis Flowers during oral arguments Wednesday morning, in a case that centers on racial discrimination in jury selection. The emphatic questions from Kavanaugh, who joined the court in October after a divisive confirmation process, indicated that a majority of the justices will likely vote to set aside Flowers' conviction and death sentence, handed down by a jury of 11 whites and one African-American. Flowers' attorneys contend that his rights were violated when District Attorney Doug Evans struck African-Americans from the jury at Flowers' 2010 trial, his sixth for the 1996 murders of four people at the Tardy Furniture store in Winona, Mississippi. The justices' decision will turn on whether they think the Mississippi Supreme Court, in denying Flowers' appeal, correctly applied the 1986 ruling in Batson v. Kentucky, in which the nation's highest court ruled that removing people from juries because of their race violates the Fourteenth Amendment. Court observers view Kavanaugh and Chief Justice John Roberts as possible swing votes in the case. The Supreme Court is a notoriously secretive place, so no one knew exactly how oral arguments in the case of Curtis Flowers would unfold on March 20. After listening to 54 minutes of legal debate, those in the packed courtroom reclaimed their wireless devices from the press area and public lockers, and emptied onto the streets of Capitol Hill. Then the tweeting began. The consensus seemed to be that Flowers' lawyer, Sheri Johnson of the Cornell Death Penalty Project, had handily defeated Jason Davis, the assistant Attorney General from Mississippi, who'd been sent to the nation's high court to defend District Attorney Doug Evans' handling of Flowers' 2010 trial. The headlines were about Justice Brett Kavanaugh's emphatic defense of Batson, the 1986 ruling that made it unconstitutional to strike jurors on the basis of race. 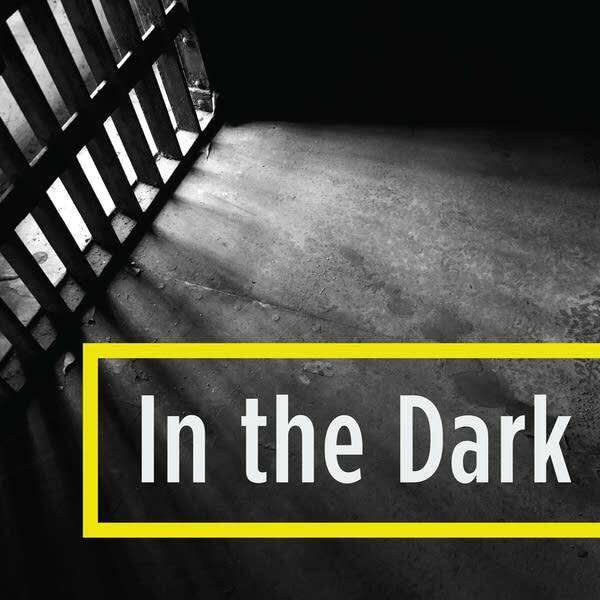 In the Dark host Madeleine Baran was struck by the support that most of the justices showed for Johnson's argument. It wasn't just Kavanaugh who appeared to be disturbed by Evans' record of striking many black prospective jurors over the course of six trials. At points, even Justices John Roberts and Samuel Alito expressed dismay at Evans' history in the case. The lawyers for both sides & justices across the liberal-conservative spectrum agreed that the history of the prosecutor matters. Many justices were struck that it was the same prosecutor who tried the case 6 times and that there had already been 2 Batson violations in the case. Many people remarked at how Justices Sonia Sotomayor and Alito grilled Davis about why his office, headed by Mississippi Attorney General Jim Hood, hadn't stepped in to take the case away from Evans years ago. In the Dark reporters also checked in after the hearing with several people familiar with the case to see how they thought the justices might split. "The over-under would be 6-3, unless something comes up during deliberations to upset the applecart," said Garrett Epps, a law professor at the University of Baltimore who covers the Supreme Court for The Atlantic. 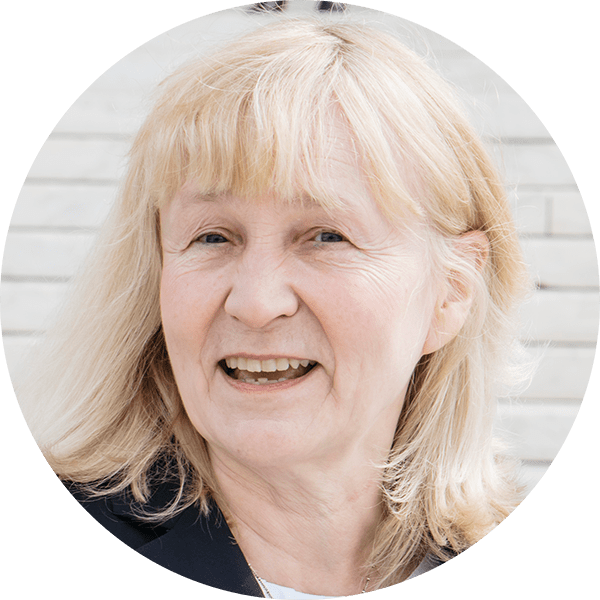 "I try not to predict based on oral argument alone but, that said, it is hard for me to see why the court granted this case at all unless there are at least four votes to reverse," Epps said. 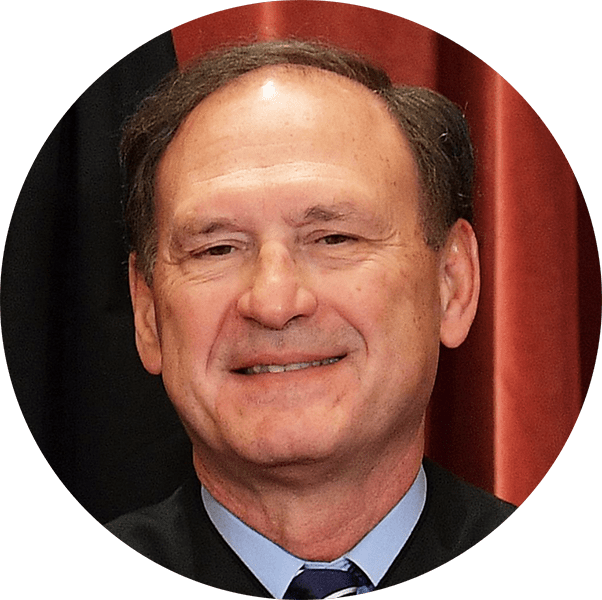 "Based on the comments, I would say that Justices Alito and Thomas are definite affirms; Gorsuch is leaning to affirm; and Chief Justice Roberts and Justice Kavanaugh are leaning to reverse." "Finding out where Kavanaugh seemed to be positioned basically gave a sense that there were enough votes for Mr. Flowers," said Chris Kemmitt, an attorney at the NAACP Legal Defense Fund, who authored a friend-of-the-court brief in support of Flowers' case. 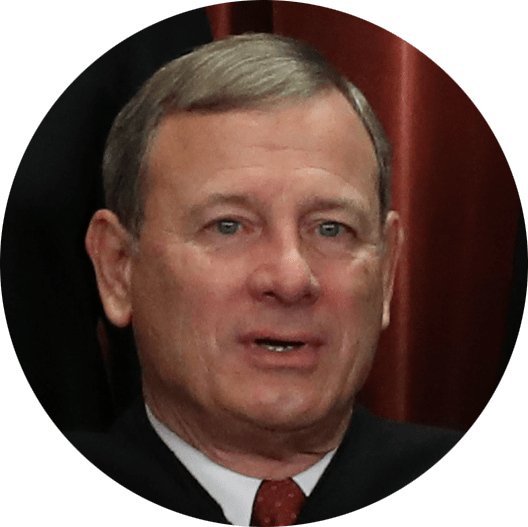 "There are multiple justices who didn't exactly declare their thoughts, so you could imagine a range of different scenarios. If forced to take an exact vote breakdown, I think I would pick 7-2 or 8-1," Kemmitt said. Yale Law School professor Stephen Bright also thinks Johnson may have helped deliver a landslide victory for her client. And he's been in her shoes. Bright successfully argued the last two Supreme Court cases that set precedents on race discrimination in jury selection. "Who won? Flowers and the black jurors that were struck," Bright said. "I would expect the Court will decide for [him], 7-2. ... I would not be surprised if Kavanaugh writes the opinion." A ruling is expected before the end of the court's term in late June or early July.